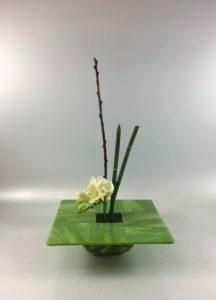 This is an optional add on class to learn how to paint and customize your ceramic dish to use as the base of your Ikebana vase. Learn how to prepare, decorate and seal your ceramic base. Price includes all materials.